Having served in a more humble capacity at the University it is now an honour to call myself a professor at Kingston. – Hanif Kureishi. In October last year Hanif Kureishi, novelist and screenwriter, and author of The Buddha of Suburbia and The Last Word, was promoted to professor at London’s Kingston University. Describing his work as a teacher, he said his students used him as a “resource” to talk about their work, “the same way as I work with a director on a movie”. Kureishi may not in fact see value in the teaching of writing in the academy. For only a month later, he was telling The Times Higher Education pages that undergraduate degrees in creative writing “were a waste of time … you might as well give them a swimming certificate”. And at The Independent Literature Festival at Bath last weekend, Kureishi told his audience that most of his postgraduate students “can write sentences but they don’t know how to make a story go from there all the way through to the end without people dying of boredom”. One can only cringe to think of the uncomfortable snickers that followed Kureishi’s remark to an audience dotted with his own students. Brit writers have now weighed in. My job is to explode language in their faces. To show them that writing is both bomb and bomb disposal – a necessary shattering of cliché and assumption. Winterson speaks to the heart of higher education learning and teaching. University study, be it in science or humanities, should offer a changed, informed and frictive relationship to the discipline. Learning, to extend on Winterson’s view, is an experience that will alter the student’s relationship to the subject through critical, experimental and disciplined experiences with new knowledge, methods and sometimes unforeseen conclusions. The teaching of creative writing within this view aims to engage students in a re-evaluation of language, the contexts in which we read and write, and of course to teach elements of writing technique and craft, which are developed through repetition and practice over a period of years. Students graduate with significantly advanced written communication skills, which they take out into broader communities, as teachers, parents, carers, friends, colleagues. That is, citizens who can read, reflect, debate and write with skill. With the capacity to become, in the words of the late cultural theorist Edward Said, the amateur, not merely a specialist with “one eye on the clock”, publishing awards and book-film rights, but with “an interest in the bigger picture”. Only teaching for an elite? Winterson is interested in the bigger picture. 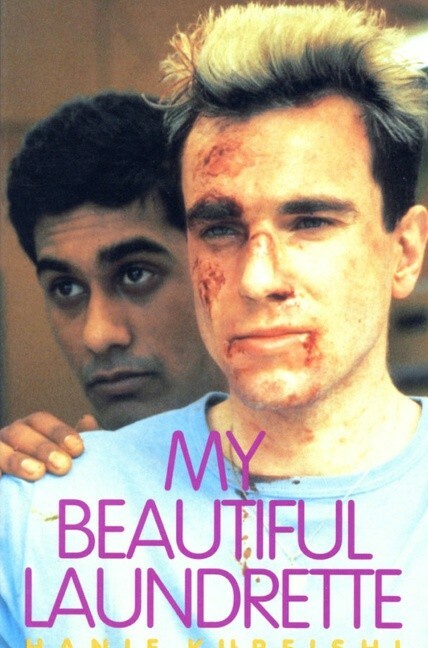 Kureishi, it would seem, is not. Kureishi, it would appear, is from the school of teachers whose focus is not on the learner, but on themself. This approach focuses on the transmission of knowledge from the expert to the receptive learner. Ideally, the student is an elite talent: preternaturally bright, both an auto-didact and a willing disciple. 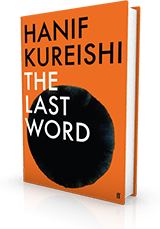 Students for whom sentences and narrative are not easy, whose best work comes with much rethinking and rewriting, who are sometimes inarticulate on the page; these students are hard work in Kureishi’s world. In the learner-teacher model in which the learner is a reflection of the teacher, such students offer the teacher a spotty mirror image. Creative writing learning engages students in thinking methods which privilege varied approaches to creativity. Creative writing is a valuable part of the spectrum of undergraduate university learning and teaching that ranges from knowledge transmission to experiential learning. The writing and critical thinking skills that students develop are also generic and transferable (to use some learning and teaching jargon), and need not be specific to any single creative genre. Mostly young and soon to graduate, it is a double reward for undergraduate students to enjoy the learning and see that it will also have practical application in the varied knowledge economies that many of them will soon be working in. Students are drawn to the more intensive postgraduate coursework creative writing programs because they want to talk about, think about and learn about writing, and of course to have their own writing extended and challenged. They want to be part of a writing community and to meet with others who love what they love: writing. Most have been writing for years, on their own. Many express the desire to become published. And if they do want to publish, good on them. Whether they succeed or not is only one measure of the worth of the program; the publishing industry is a multi-faceted, fast-changing beast on which no-one is guaranteed a grip. How can Kureishi return to class after these statements, which indicate he despises the bulk of his students? Kingston University representatives have told The Independent his work is valued by the university and his students, but they may be rueing the spring day last October when they conferred on their formerly “humble” teacher the status of professor. Jane Messer does not work for, consult to, own shares in or receive funding from any company or organisation that would benefit from this article, and has no relevant affiliations.